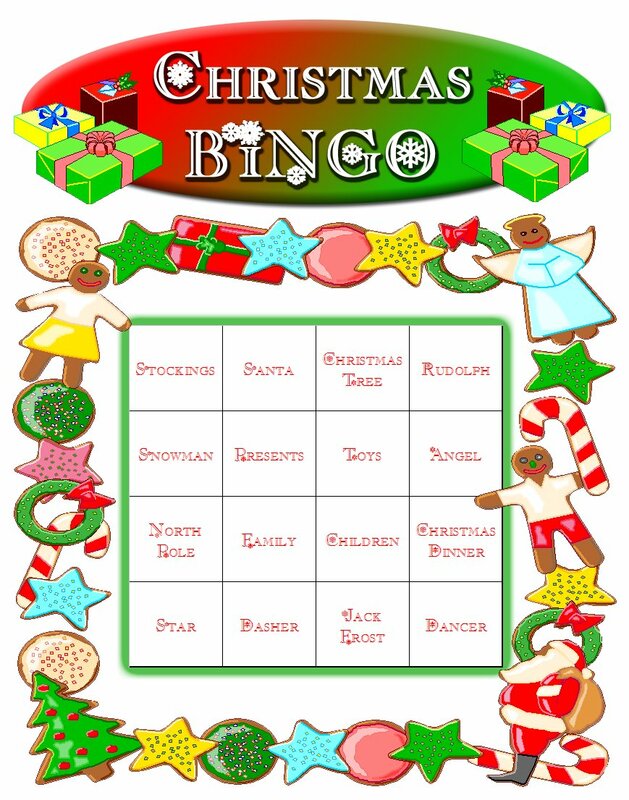 Christmas Themed Bingo Set Download - perfect for a Christmas theme party! Few games have such long and wide appeal as the game of Bingo. It's a game that ALL ages enjoy! With this Christmas themed Bingo set, you won't be calling out the boring B9 and N14...you'll call out Christmas items and concepts! Bingo is great for parties because of its versatility and ability to be a fun filler activity! Our game boards were specially designed for quick party play. Each game board has 16 squares instead of the traditional 25, allowing for quicker games and ultimately more games to be played. Often times, with the standard 25 grid, a single game can last longer than desired. With our game boards, no one particular game drags out longer than the fun lasts! PLUS, you get the added fun of calling out your own FREE SPACE for each round - providing a new twist for added fun! 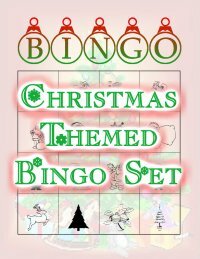 PLUS - When you order this Bingo set, you automatically will receive the Bingo Bonanza download for FREE!!! 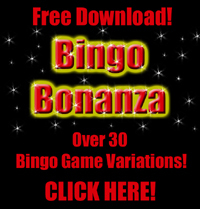 35 creative variations to ensure that the fun will never end with your Bingo set! What do our actual customers have to say AFTER they've ordered one of our Bingo sets? "Thank you! The Super Hero Bingo game  that will be a blast to play!" - Kirsten M.
"You are helping make our party here at Columbus a success" - Gloria L.
"It will be a great game for our camp kids!" - Nancy T.
Great for the Classroom: Teachers click HERE for ways to incorporate BINGO into your classroom. Great for Parties: Click HERE for ways to incorporate a BINGO into your party. Great for the Office: Click HERE for ways to incorporate BINGO into your office activities. Why wait! You can be downloading this whole Christmas Bingo set RIGHT NOW and be moving on to the rest of your party planning! 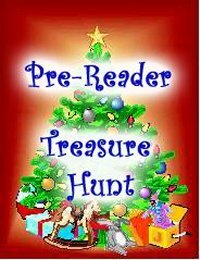 This download is offered in adobe acrobat format for your convenience and is available for only $8.95 which INCLUDES the Bingo Bonanza download!!! CLICK HERE TO DOWNLOAD THE CHRISTMAS IMAGES THEMED BINGO SET! NEW!!! 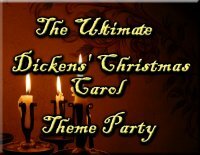 Dickens' Christmas Carol Theme Party Ideas!!! 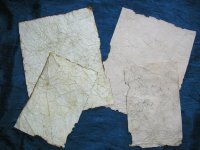 Hand-Antiqued Paper - PERFECT for a Christmas treasure hunt adventure! 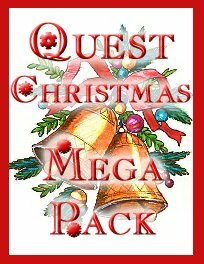 Click HERE to find out more about our Quest Christmas Mega Pack! * Reward students by allowing them to pull a draw from a hat that they can use to mark off on their board alone (rather than calling the draws out for the whole class to hear.) In this way, a single game of Bingo can last days even weeks! * Call out different squares to the game throughout a day or week. To keep the excitement going, at random times throughout your unit call out a single square in the game. 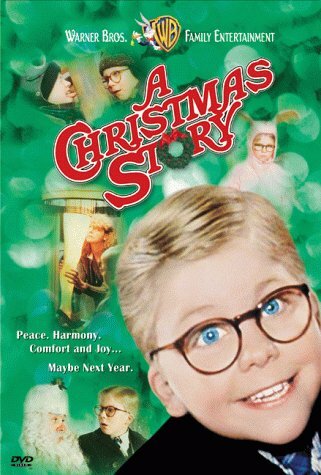 It will keep the kids on their toes and the excitement rolling! * Allow groups/tables of students to share the same game board to allow unity. * Ask the students trivia in order for them to EARN a new square to be called out! It's not always easy to create a fun work atmosphere without it impeding on work productivity. With these ideas you'll be able to engage your employees without distracting them greatly from their work! * Release different call squares at different times throughout the day via email. This is a great way to encourage your employees to stay close to their work computers (i.e. those wandering around the office chatting will miss when the new space is called.) By sporadically announcing the spaces, you can make a single game stretch throughout an entire day or even week! * Have a single game played throughout an entire training session (preferable for those longer sessions where it may be more challenging to maintain the attention of those attending.) Every so often call out a new square, keeping everyone alert. * Reward your employees by allowing them to draw their own personal square to be used on their board allow. You can also reward employees by allowing them to cross off any square of their choice. * Allow different departments (if only a few members within each department) to share the same game board. In this way, unity is built within the departments as they all realize that they will either win or lose together. * If your workplace has an intercom system, announce the new called squares over it at different times. In this way, your fellow employees will never know when it will come! * As a single game can be completed rather quickly, these can be great activities to facilitate during a single lunch. Bingo by itself can be a fun addition to any party because of its easy to follow rules and ease of play. Themed Bingo cards make it even more fun because they can enhance the overall experience of your theme with each new square being called out. With these creative ideas, you can turn the tried and true version of Bingo play into something new and fresh! * Have the game boards at the entrance to your party so that each guest can grab one on their way in. This will set the tone for the party that they'll be participating in on the fun! * It's typically best to provide each guest also with a pen or pencil to mark their boards. 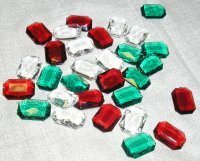 * Call out different squares throughout the party, keeping your party guests on their toes. * Award different guests extra squares for winning different games you also have planned for the party. * At a point in the party, have each guest TRADE their board with another guest! * Ask trivia questions to your guests - correct answers are rewarded with a new square being called out or awarded. * Pair up your guests as they play for standard rounds. In this way, your guests will have an opportunity to get to know other guests!